What constitutes a scale-up? How do you make the best out of your people and culture for success? Join us as we uncover interesting insights from the impressive co-founder of Oddle, Zeyan Lim. What constitutes a scale-up? You’re probably not picturing two people tinkering on the next billion dollar idea in a scrappy garage. Instead, a company which has achieved a product-market fit, and have a band of employees working relentlessly to increase market share. As a company matures, the challenges of scale become more evident. As a founder, you’re probably now giving a lot more thought to people and culture - do you have the right people to achieve your mission? Are they properly equipped? How do you get the best out of your employees? I had the chance to catch up with Jonathan Lim, founder of Oddle (an online ordering platform, equivalent of a “shopify” for restaurants) who shared his first-hand experience of overcoming the challenges of scale. Founded in 2014, Oddle is now serving more than 1,400 restaurants in six countries, and had processed orders over $13M USD. Having only completed series A in October 2017, the team is already 60 strong and growing. Few have achieved such an impressive feat and I was excited to uncover some attributes to Jon’s success. 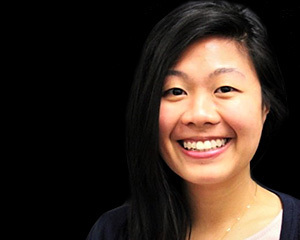 Rachel Chong (RC): What has been the biggest challenge for you in scaling Oddle? Jonathan Lim (JL): In the past year, I had spent the bulk of my time in fundraising leading up to series A. We had a successful round, but I started to notice the lack of management depth within the team as the business scaled. In terms of technical and leadership abilities, there was an obvious gap between where my team envisioned themselves and where they were at that stage. We were also actively hiring across different markets, and didn’t have a structured assessment and hiring process in place to effectively screen out misaligned candidates. The challenges were two-fold, figuring out how to bridge the gap in management depth as well as making sure our values were reflected across all company processes and hiring criteria. RC: Let’s talk about the first step in making your hiring process more effective. What did that involve? JL: I now require all candidates to be screened by myself as the last stage before they come onboard as a new hire. I also created an assessment template and implemented a structured way to document feedback by each interviewer so we can objectively review why a candidate passed or failed an interview. The documentation is really useful in facilitating our learning, especially when we revisit our process every time a bad hire is made. Talking about bad hires, I’ve learnt to fire negative people without mercy. It reflects the wrong company values keeping them, and overtime will result in a toxic environment for the rest of the team. Some may have roughed through the difficult times with you, but you shouldn’t overcompensate them because of guilt. Compensate only if they are good. RC: Do you notice a higher rejection rate now that you’re involved in last stage screening? What are some of the deciding factors on whether you offer someone a job? JL: Yes, I’ve rejected many candidates who have passed all other stages of interviews. What I look for is attitude and curiosity. I offer jobs to people who are hungry and gritty, and I invest my time in training people up who show initiative and passion. For example, my two product leads would unfailingly ask me about the articles and books I’ve read over the weekend and what I’ve learnt from it. They have been great hires for the company and are spearheading the technical direction of the business. On the other hand, I’ve learnt that people going through identity crisis are time bombs. I’d steer away from them even if they might appear to be good candidates on paper. RC: You mentioned that you noticed a gap between what people can do and what they are expected to do. Did you find a solution to this challenge? JL: I’ve come to understand that I can’t assume smart people can learn on their own, businesses have to create structures to help them learn better. Different capabilities are needed to grow the company from 1 to 10, 10 to 50, 50 to 100, and so on. This gap became more apparent as we scaled. To grow your people you have to let them experience first hand where the gap lies between where they envision themselves and where they are now. For any solution to be effective, people need to feel like they are being understood and constantly be reminded of where they can improve. I first encouraged everyone to complete a Clifton Strengths Assessment* to identify their five dominant talent themes (for example - futuristic, activator, empathy, maximizer, strategic). People identify with the results (it’s like a mirror) and when they have something concrete in hand as a consistent reminder, they are more receptive to feedback. Then, I restructured my team into multiple business units headed by a leader / advocate who is accountable for all decisions, actions and performance of their unit. Their responsibilities reflect where they envision themselves to be (e.g. management), including hiring / firing, making judgement calls on risky decisions, how to optimise the talent and performance of their team. They are free to run things across me, but ultimately they had full ownership and accountability over all of their actions. This was an extreme exercise which exposed the specific areas leaders are lacking in, putting them in a vulnerable position. The results were very effective. The leaders experienced first hand where their gaps were and what steps they have to take in order to bridge that gap. *The Clifton Strengths Assessment provides a highly in-depth and precise profiling of an individual strengths compared to the more commonly known Myers-Briggs personality test. It presents an individual’s five most dominant talent themes, in which 278,256 combinations of the five themes are possible. Factoring in the difference in order of the five themes, the likelihood of an individual finding the same top five as themselves jumps to one in 33 million. RC: How has Oddle’s culture evolved as the business scaled? JL: Every person who joins or leaves the business creates a different dimension to our culture, but at the basis of that is how we define the form and tone of our communication. In a team meeting, I like to encourage ‘thoughtful disagreements’ where anyone, regardless of rank, to speak up if you think something is amiss or if you have a better way to solve a problem. If you think there’s a particular weakness I need to address, lay it out on the table and we can look at it together. I do the same in providing feedback. The idea is to encourage more open conversations where people challenge each other in search of a better solution, instead of taking things personally. To maintain the objectivity of radical transparency, it should be supported by documentation and measurable performance. Supporting your arguments with data is how you can build group consensus even for a minority-voted solution. Data here can refer to an individual’s strengths (based on the Clifton assessment), previous experience and demonstrated success as basis on influence. RC: It’s been incredibly insightful to hear of your challenges in scaling Oddle and how you overcame them. What are some key learnings you believe would be helpful for others in the same journey? Always train the people in the company, even if they might leave the company. Learn to differentiate between innovation and execution. Tolerate innovation failures, condemn executional failures. Most importantly, learn from failures. You win some, you learn some. To disagree well you must first understand well. You have to read deeply, listen intently and watch closely. Focus on the right problems to solve. You will only know what to solve when you know the whys and objectives. If you have scaled a successful team and would like to share your story with us, or are looking to embark on a journey to scale your startup and want to share in our knowledge, please get in touch. 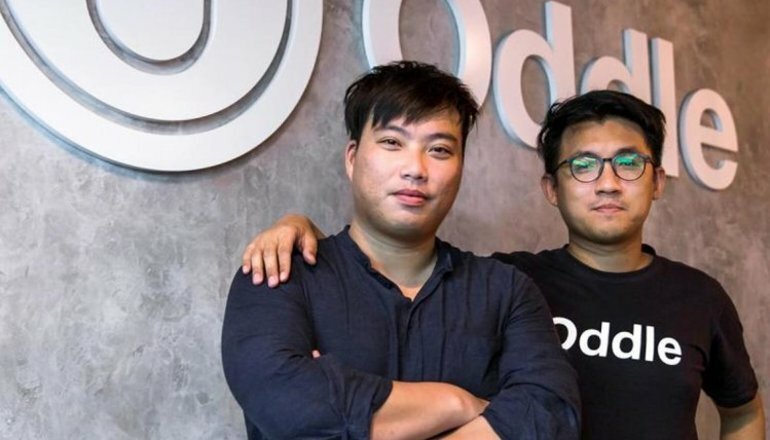 Source: Oddle co-founders, Lim Ze Yan (left) and Pua Yong Xiang (right).